A small bottle of peppermint oil and a basket of mint leaves. Manufacturers of gum, candies and tea have used peppermint for years to enhance flavoring. In addition, peppermint oil has medicinal value as a way to treat everything from headaches, depression and symptoms of the common cold including cough. Parents on the lookout for alternative cough remedies should know the facts about peppermint oil for a cough. Peppermint contains menthol, a natural agent that works as a decongestant found in many over-the-counter cough products like throat lozenges and vapor rubs. In doing so, it can effectively thin or loosen chest congestion and break up a cough with phlegm. Menthol also cools the mouth and throat, offering a brief and temporary distraction that can stop your body from coughing. According to the University of Maryland Medical System, peppermint also soothes throats that become sore with dry coughs. Botanists believe peppermint is a cross between spearmint and water mint. This flowering plant grows throughout Europe and North America, and is cultivated for its scented oil located in the plants leaves and stems. Sold in liquid and capsule form, the National Library of Medicine and National Institutes of Health website MedlinePlus notes that pharmaceuticals manufacturers are amongst the greatest purchasers of peppermint oil. Patients must use peppermint oil judiciously, as overdosing is dangerous. For cough relief, MedlinePlus prescribes lozenges containing two to 10 mg of peppermint oil, or inhalation of three to four drops of oil mixed in 150 ml of hot water three times daily. Those with gallstones, gastroesophageal reflux disease or acid reflux problems should avoid peppermint oil in any form as it can exacerbate symptoms. Likewise, the University of Maryland Medical System notes that infants and pregnant or nursing mothers should avoid the product. 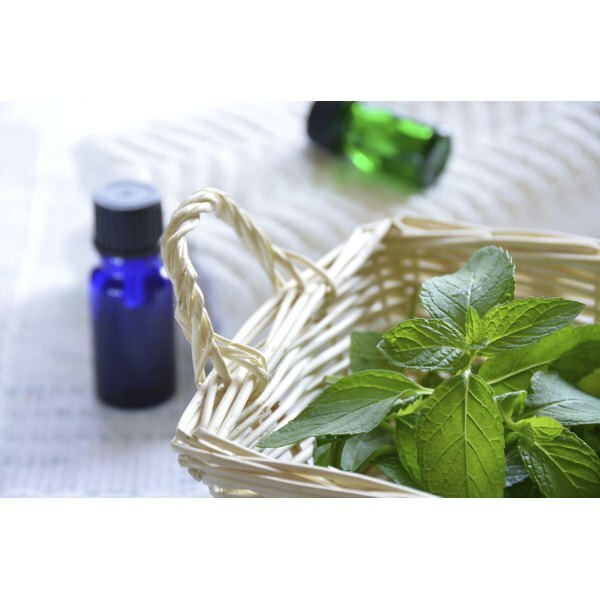 MedlinePlus give peppermint oil a “B” grade when it comes to cough relief. According to their website, this means there is “good scientific evidence to determine the efficacy of peppermint oil in the management of cough.” Furthermore, peppermint appears to kill certain bacteria and viruses in a laboratory setting, which according to the University of Maryland, suggests antibacterial and even antiviral properties that may apply to coughs.